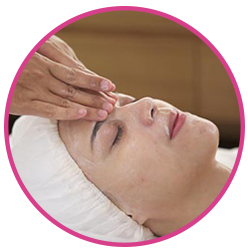 Basic facial at Jayanata is tailor-made according to your skin type and problems. 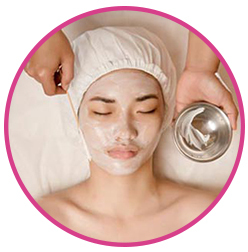 The treatment begins with thorough cleansing, peeling, face massage, mask application and ends with moisturizer. The ritual applies for the face, neck, decollete and back. AHA (Alpha Hydroxy Acid) treatment with fruit acid to accelerate skin-cell regeneration and reduce sebum production and acne. 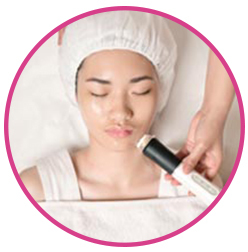 For oily skin: This treatment is perfect for acne-prone skin. It reduces micro-bacteria which cause acne. Retinol accelerates skin regeneration and normalizes keratinization process. 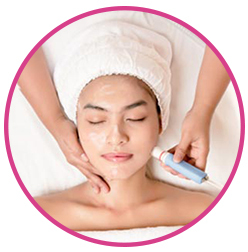 For dehydrated skin: Using micro bubble energy that works like warm water source effective in moisturizing and nourishing skin, this treatment reduces fine lines and wrinkles, refines pores, revitalizes dull skin, and gives the skin the much-needed moisture. The combination of vitamin C, oxygen, and dermalfusion technology is very effective in stimulating skin-cell regeneration, evening out skin texture, and brightening the skin. As a result, the skin looks supple, smooth, healthy and bright. 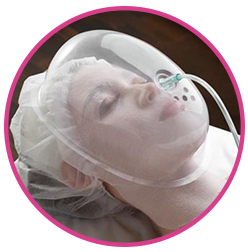 AquaBrasion procedure is the latest technology in non-laser skin resurfacing. 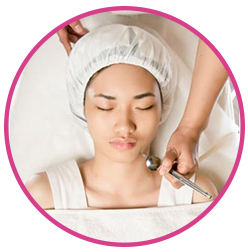 It is a hydra dermabrasion procedure that combines cleansing, exfoliation, extraction, hydration, and antioxidant protection simultaneously, resulting in clearer, more beautiful skin with no discomfort or downtime. A facial enhancer to obtain anti-aging results non-invasively, this treatment will increase oxygen in blood, thus allowing cells to revive and replenish. Your skin will be more hydrated, plumper, and younger-looking.